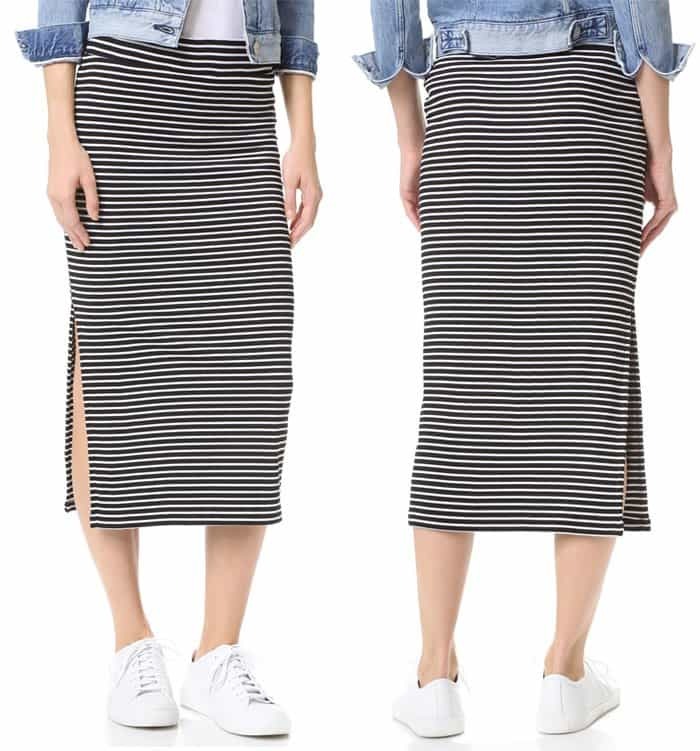 There’s no reason to look anything less than chic when you go on a coffee run. 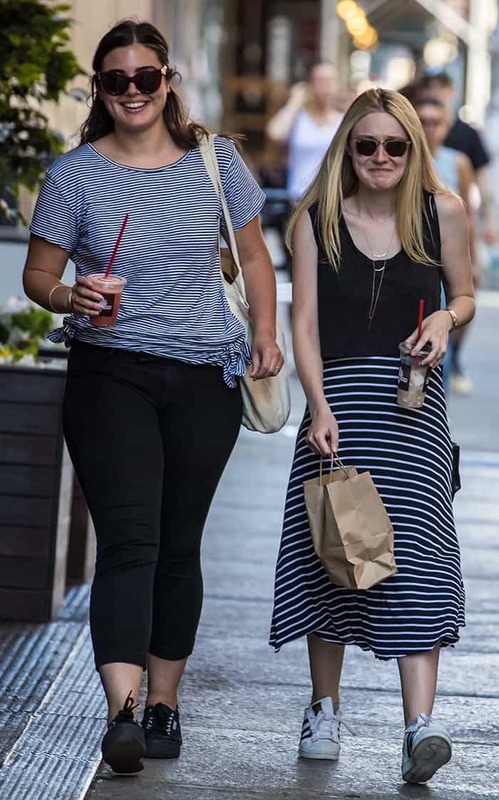 Dakota Fanning recently picked up her iced java in an effortlessly summery combo of a striped midi skirt, sneakers and a crop top. 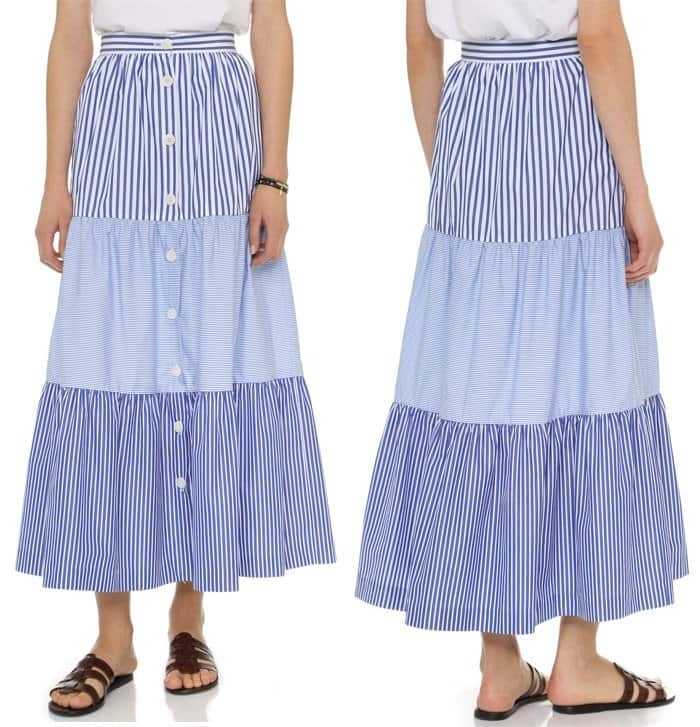 Dakota was joined by a female friend, who coordinated with Dakota’s look by wearing a striped top. Dakota capped off her look with some gold accessories, sunglasses and a black shoulder bag. 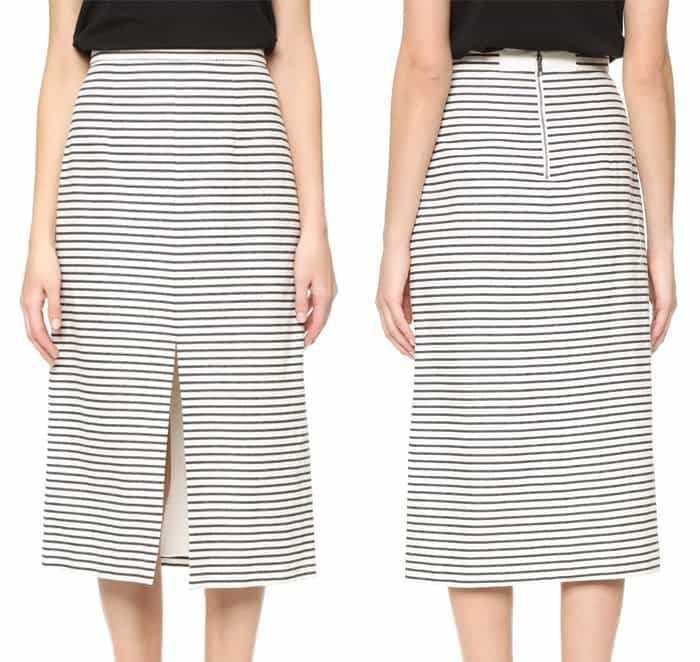 Summer’s the best time for stripes, so don’t miss out on the trend. 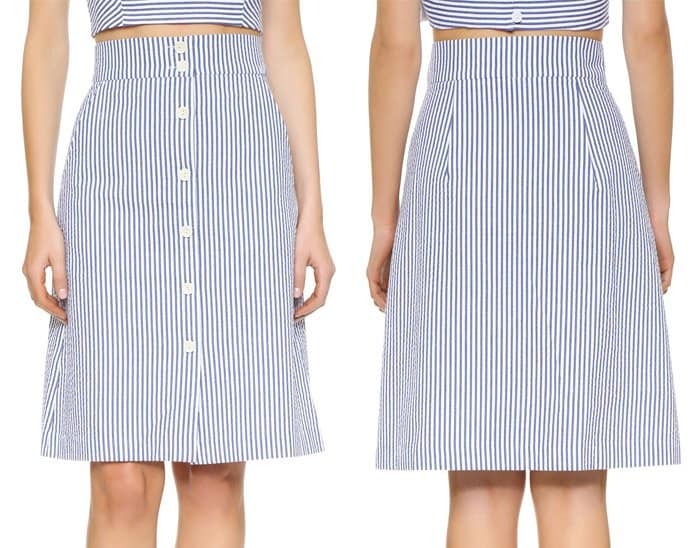 Here are some of our favorite striped skirts to get you season-ready. What about you? 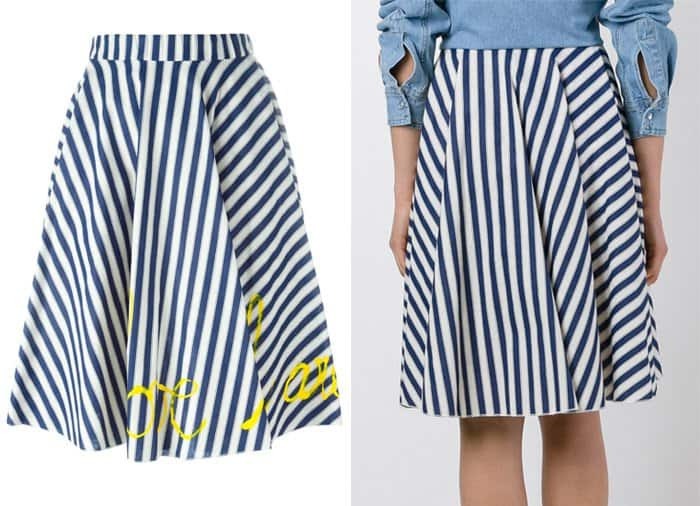 How would you wear striped skirts?